Thank you for coming to Bike Palo Alto 2018! At the first table, sign in and get a Frequent Rider Card. You will need this at each treat stop to get your treat. At the second table, fill out a waiver form, one for each rider – no exceptions! Parents: sign for minors in your group. At the map table, trade your completed waiver for a map of your choosing, one of three routes. 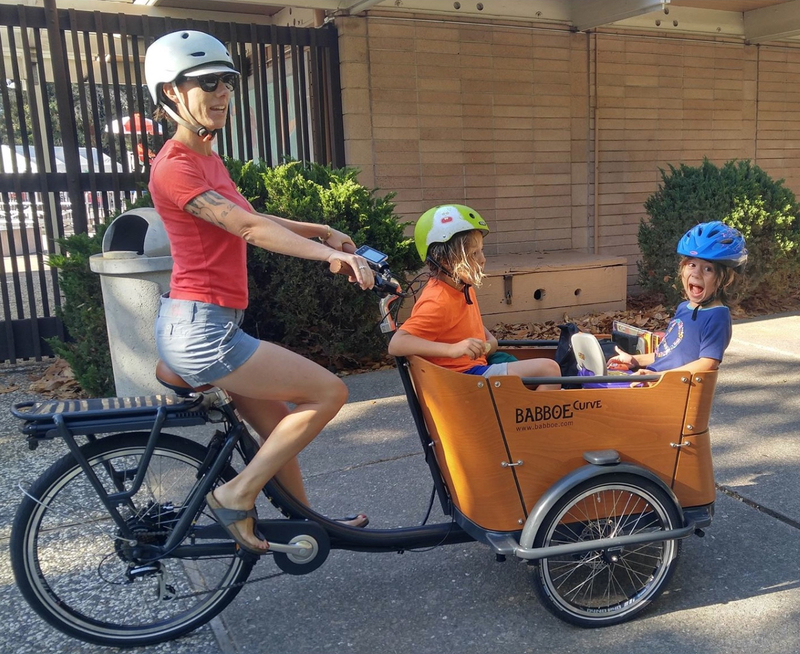 Optional: we encourage you to visit the other resource at the site – helmet fitting, trip planning, Cargo Bike Expo, Safe Routes to School, or the bike mechanics for a quick adjustment. Now you are free to head out! First and foremost: Please Follow all traffic laws. Bicyclists are expected to follow the same traffic laws as automobile drivers and may be ticketed if they do not. This includes stopping at stop signs and yielding to others who have the right of way. Each route is marked with color-coded arrows to guide you along the way. At each treat stop, get your Frequent Rider Card signed and get a free treat.